When ordinary vacationing just won’t do, it’s time to discover the exotic appeal of the Medewi Bay Retreat in Negara Bali, Indonesia. This tropical island getaway may not be the first destination that comes to mind when you think about timeshare and vacation ownership, but perhaps it should be. Here, with the mountain backdrop and beautiful Pekutatan Beach only steps away, you can truly experience the serene ambiance of the West Coast of Bali. The quaint Indonesian village of Yeh Kuning in Pekutatan is just over an hour’s drive from the resort and the town of Medewi is approximately twenty minutes away. 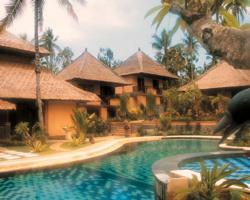 Both communities provide opportunities for you to truly experience the culture and atmosphere that is distinctly Bali. In addition to the beautiful beaches, the Medewi Bay Retreat is well-situated for Medewi Bay resale owners and renters to enjoy golf, windsurfing, and boating. 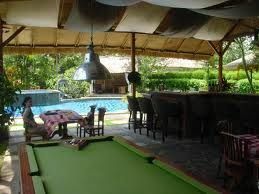 Medewi Bay Retreat is part of the PVB Group LTD collection of fine resort properties in Jomtien Beach, Thailand; Otaki, New Zealand; and West Bali, Sanur, and Lombok, Indonesia. Every vacation villa at the Retreat at Medewi Bay is an ideal blend of island style and modern convenience. 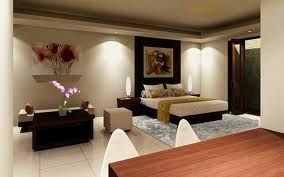 One-, two-, and three-bedroom timeshare villas include a living and dining area, either one, two, or three bathrooms, a well-equipped kitchen with microwave, cable television, air-conditioning, and coffee and tea facilities. Many of the units have a spacious balcony area. One-bedroom villas at Medewi Bay sleep four, two-bedroom villas sleep six, and the large three-bedroom timeshares sleep up to eight. Cozy studio units are also available with a double bed plus a double pull-out sofa. Studios sleep either two or four. An oversized pool, sundeck, and spa are perfect for leisurely afternoons with a tall, cool, drink. As the owner or renter of a timeshare resale, you can linger in your lounge chair, watch your children splashing in the kiddie pool, and let their happy laughter and the music of the wind in the palms, remind you that this moment is truly why you go on holiday. Other on-property amenities that make your vacation easy to enjoy include self-service laundry facilities, The Palms restaurant, and a lively activities program. Contact Medewi Bay Retreat Specialist Today!